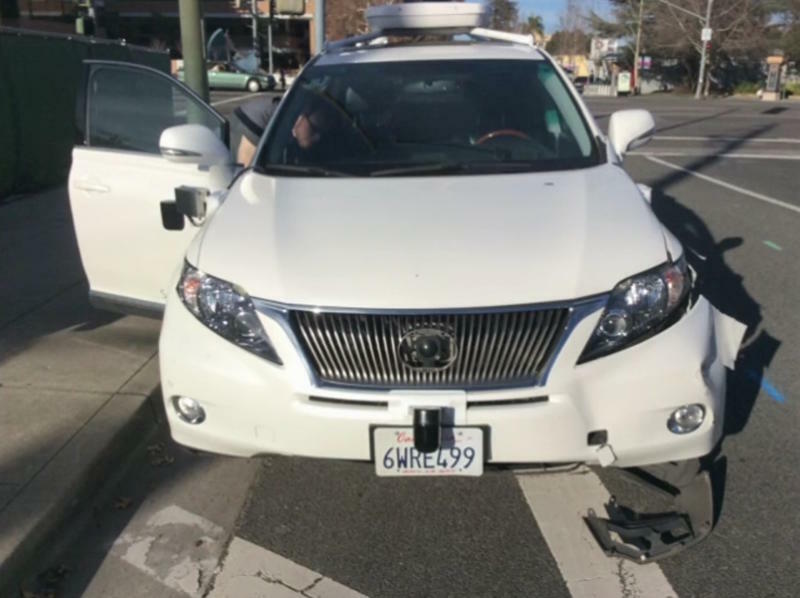 Last month, one of Google’s autonomous cars, a Lexus SUV, caused a minor accident while driving the streets of Mountain View, California. And—surprise, surprise—the whole thing was caught on video. 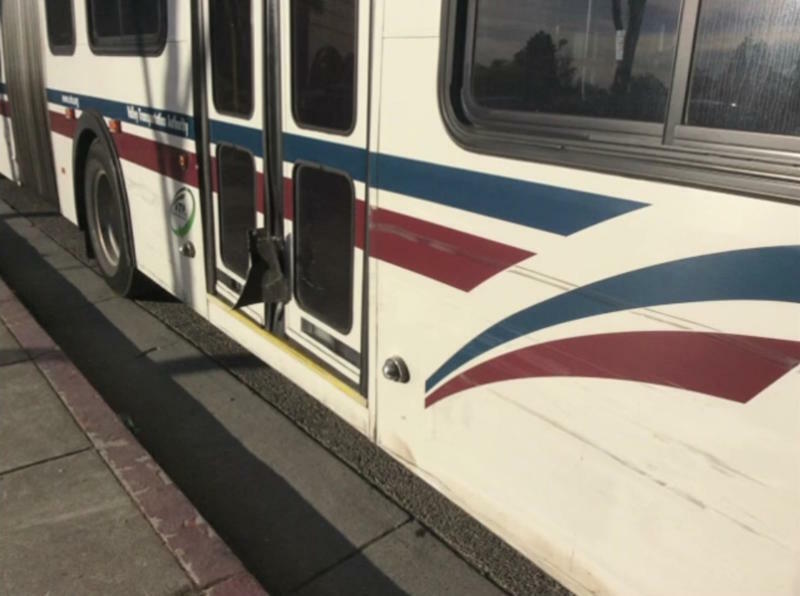 Granted, the quality of the video is pretty low since it was recorded by the bus’s onboard security system, but it shows the moment in history when a human got into an accident with an AI-controlled car. What a time to be alive. 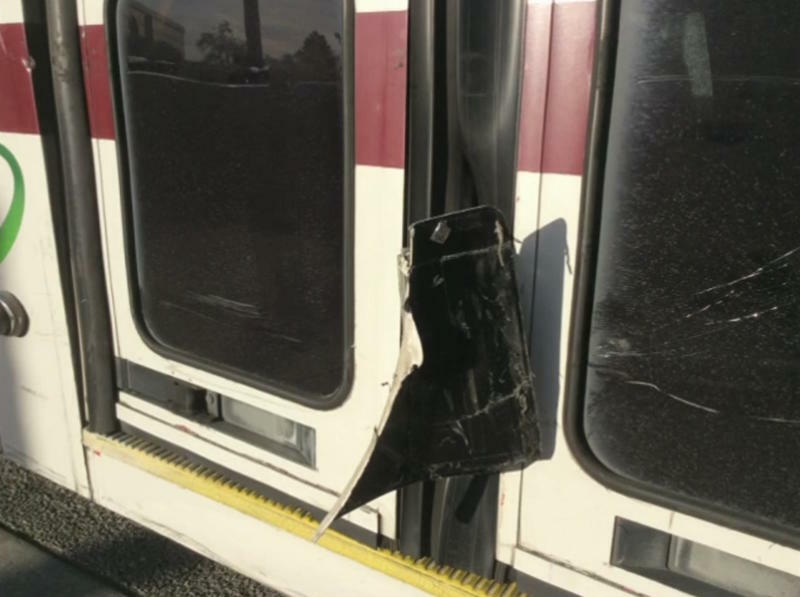 How has the life changed for the bus driver in the accident? Does he get made fun of for being the first person in history to get into an accident with a car that’s supposed to be completely autonomous? Does he get a special gift from Google as some sort of consolation? What was the conversation between him and his boss like? “I got hit by a self-driving car,” I can imagine the bus driver saying. “Come again?” responds his boss in disbelief. As the Google AV approached the intersection, it signaled its intent to make a right turn on red onto Castro St. The Google AV then moved to the right-hand side of the lane to pass traffic in the same lane that was stopped at the intersection and proceeded straight. However, the Google AV had to come to a stop and go around sandbags positioned around a storm drain that were blocking its path. When the light turned green, traffic in the lane continued past the Google AV. After a few cars had passed, the Google AV began to proceed back into the center of the lane to pass the sand bags. A public transit bus was approaching from behind. 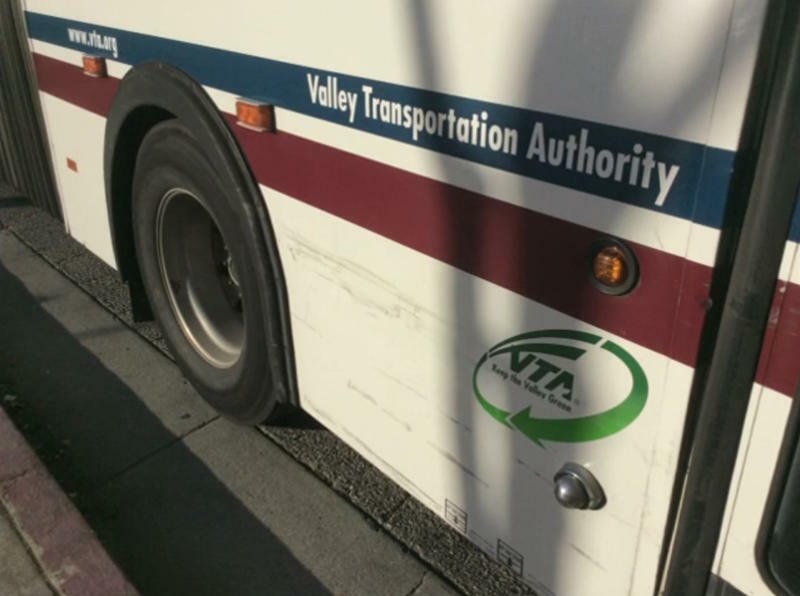 The Google AV test driver saw the bus approaching in the left side mirror but believed the bus would stop or slow to allow the Google AV to continue. Approximately three seconds later, as the Google AV was reentering the center of the lane it made contact with the side of the bus. 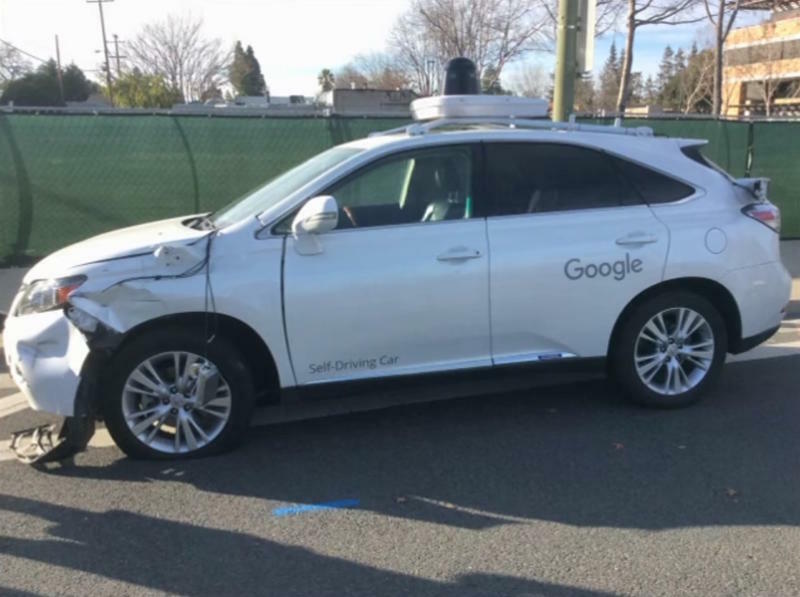 As the video shows, it was a minor accident though certainly significant as Google continues to pursue an autonomous future. 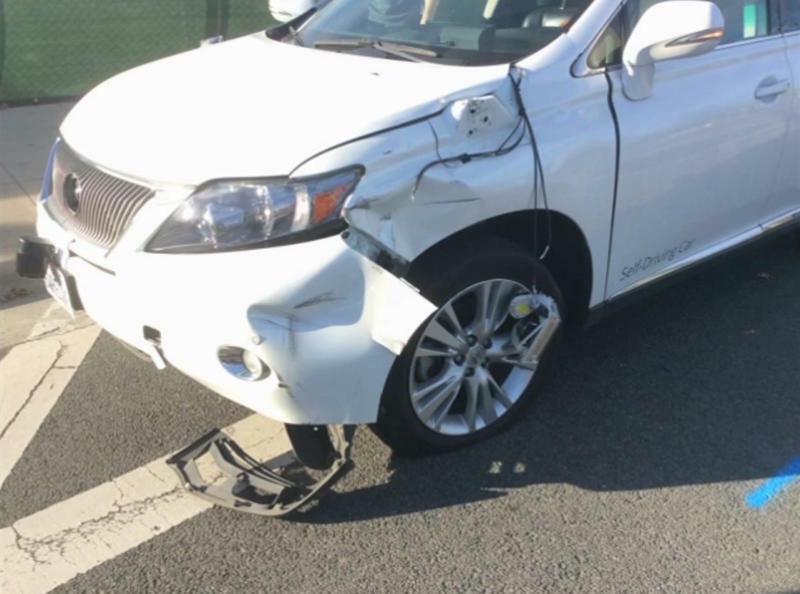 According to Google, the Lexus SUV was traveling at less than 2 mph at the time of the incident and no injuries were reported. Watch the whole thing unfold in the video above.